Dive Gainesville – There is a better way to dive! Welcome to divegainesville.org where I believe there is a better way to dive! Gainesville is situated in a great location for scuba diving! We’re surrounded by many springs, sinkholes, lakes, and rivers. Divers flock to the area from around the world to explore our springs, and you might find yourself getting geared up next to people from far flung places at one of the local dive sites. I am NOT a dive shop. I do NOT sell dive gear. I encourage you to patronize our local dive shops rather than buying online, and I regularly work with the kind folks at Cave Country Dive Shop. 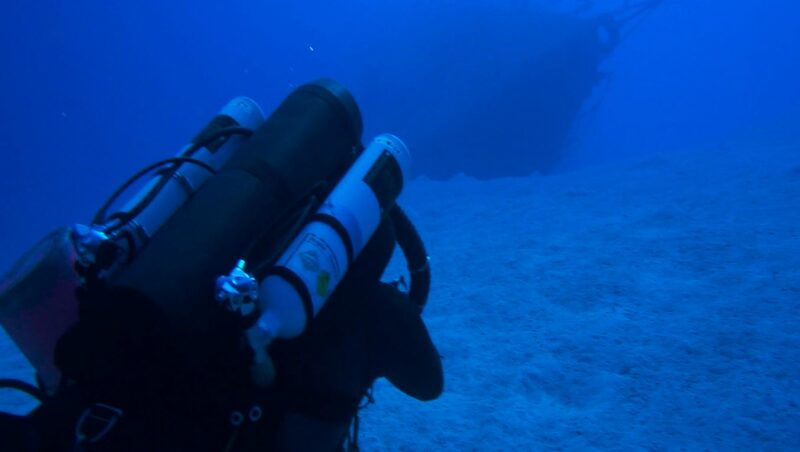 I do provide training, specializing in technical diving (cavern, cave, mixed gas) in the North Florida area. I will also be happy to provide guide services if you need someone to dive with, or are looking to do that pinnacle dive. If you would like more information, please visit my courses page. My name is Ken Sallot, and I’ve been diving for a long time. The first time I ever tried scuba was in a pool on a night that my parents let me try their gear; I was seven. When I was ten I somehow or another wound up living on Grand Cayman for most of the year, and that is when I had my first experiences of diving in the open water. In 1981 I finally earned my NAUI Junior Diver rating (I was 12), and I have been diving ever since. In 1995 I became an Openwater Instructor with the YMCA Scuba Program and in 1996 I became an instructor with NAUI, TDI and IANTD. I currently hold instructor ratings with the NSS-CDS, IANTD and SDI/TDI. I can be reached by phone at 352.870.5367 or email at ken at sallot dot org.